I like to think of myself as a rational human being most of the time, but I have to suppress a shudder if someone opens an umbrella indoors, and I’d probably comment if a black cat crossed my path. Most people are like this, and most superstitions are harmless. But some bleed into obsession, and I learned of one this week that is so powerful it caused a decrease in Japan’s birth rate. It comes around once every 60 years and last happened in 1966; the next time will be 2026. It is the superstition centered around the year of hinoeuma: the fire horse. Superstition is everywhere. We’ve seen it recently in soccer players at the Euro 2012 championships in Poland and Ukraine. In some teams it is considered bad luck to shave, and as a result there were some pretty hirsute players running around by the end of the tournament. So I don’t want to single Japan out as being especially prone to superstition — but there do seem to be an awful lot of superstitious beliefs in these islands. In the first apartment I lived in in Japan, I noticed that the numbers painted on the tarmac for the parking spaces skipped the number four. I asked my boss, and he explained that since shi (four) sounds like shi (death), the number four is considered bad luck. No one wants to park their car on a death space. Many superstitions are part of cultural life. Don’t pass food from chopstick to chopstick, and don’t stick your chopsticks vertically in a bowl of rice. These rules are so well known that I was warned not to do them even before I first went to Japan. Other everyday superstitions took me years to learn: Don’t step on the cloth border of a tatami mat — it brings bad luck; don’t catch the eye of a crow — it means an evil event will occur. Visit any Shinto shrine and you’ll see that catering to superstitions is big business. 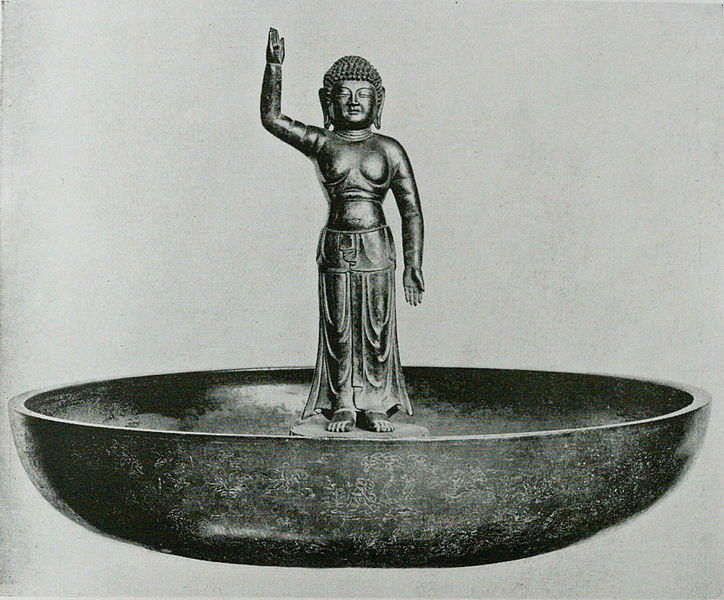 You can buy an amulet for almost anything — exam success, safe childbirth, protection from road-traffic accidents. Let’s not even start on the rituals and auspicious date-planning surrounding weddings and funerals in both Japan’s Shinto and Buddhist traditions. When harmless superstition develops into compulsive behavior it can become obsessive compulsive disorder — known as OCD — and that can be debilitating. But the hinoeuma superstition causes actual harm. In 1966, some 463,000 fewer babies were born compared to the years before and after. The decrease was likely due to parents wanting to avoid having babies in a hinoeuma year. Clearly, birth control was used to avoid pregnancy, and more fetuses were aborted. There were around 43 abortions per 1,000 births in 1966 compared to the expected number of 30.6 per 1,000 seen in the other years from 1963 to 1969. I learned about this after reading a fascinating paper by Cinthia Marie Tanaka and Yoh Iwasa, of Kyushu University in Fukuoka. 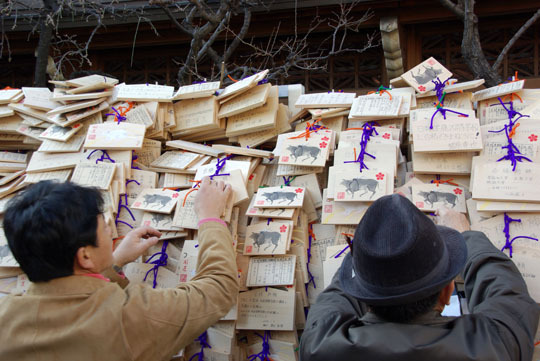 As most people know, Chinese astrology— which has been imported to Japan — uses a 12-year cycle of astrological animals. On top of that cycle there is another cycle of the five elements — wood, fire, earth, metal, water. This year, 2012, for example, is the year of the water dragon. However, 1966 was the year of the fire horse: an inauspicious year. Women who’d been born in the previous fire-horse year, 1906, apparently found it difficult to marry, as they were considered too headstrong and independent — even dangerous. Certainly, they were thought to be bad luck for men. Tanaka and Iwasa trace the superstition to 1686, when the renowned novelist Ihara Saikaku published “Koushoku Ichidai Onna (The Life of an Amorous Woman),” about a young married woman born in the hinoeuma year 1666. She was executed for arson. The researchers constructed a mathematical model to examine how the hinoeuma superstition evolved, and whether it would become extinct. They found that if the mother has strong influence over birth control and on the belief being inherited by children, then the superstition may persist. On the other hand, if birth control rests in the hands of men, and if beliefs are passed from father to child, then the superstition is likely to die out. But that doesn’t mean its persistence should be blamed on women. Nor does Iwasa think Japanese are particularly superstitious — although he says he dislikes the blood-type superstition rife in Japan. But he acknowledges that the absence of a single powerful religious belief in Japan may explain the sheer number of superstitions.